PRESTIGIOUS POINT GREY LOCATION! 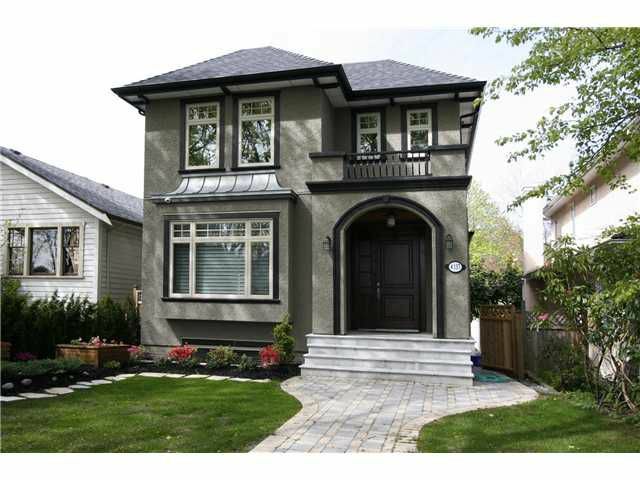 GORGEOUS custom built home, over 2870 sqft with SOUTH FACING beautiful street appeal. Steps away from LORD BYNG HIGH SCHOOL, QUEEN ELIZABETH ELEMENTARY, ST GEORGES & WEST POINT GREY ACADEMY, UBC, SHOPPING, BUS. This beautiful home simply offers grand foyer with high ceiling, open plan concept, hardwood floor thru-out, large gourmet kitchen with high-end cabinetry & appliances. Total 4 bedrooms, 3.5 baths, media room, radiant floor heating system, A/C, HRV, PARK-LIKE GARDEN. MUST SEE! 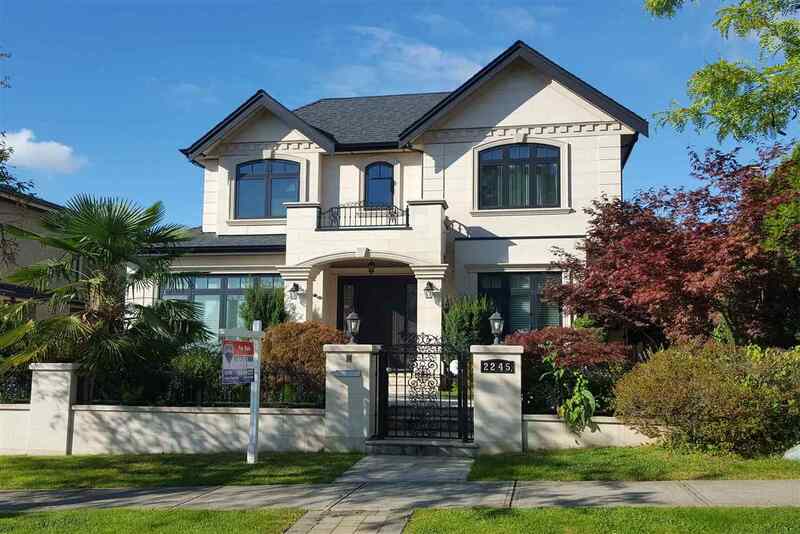 西区 POINT GREY 黄金地段，现代温馨风格式设计，地33x122，室内约2870呎，坐北朝南，步行到 LORD BYNG 中学，女皇小学，近 WEST POINT GREY 中学，ST.GEORGE'S 私校，UBC。全屋高楼底，完美间隔和布局，共4房3.5浴，大量采用优质实木地板带领进入美味厨房，配有顶级厨具及电器。中央空调，HRV，地热，电影窒，阔大后园，䐟物交通方便。必看!